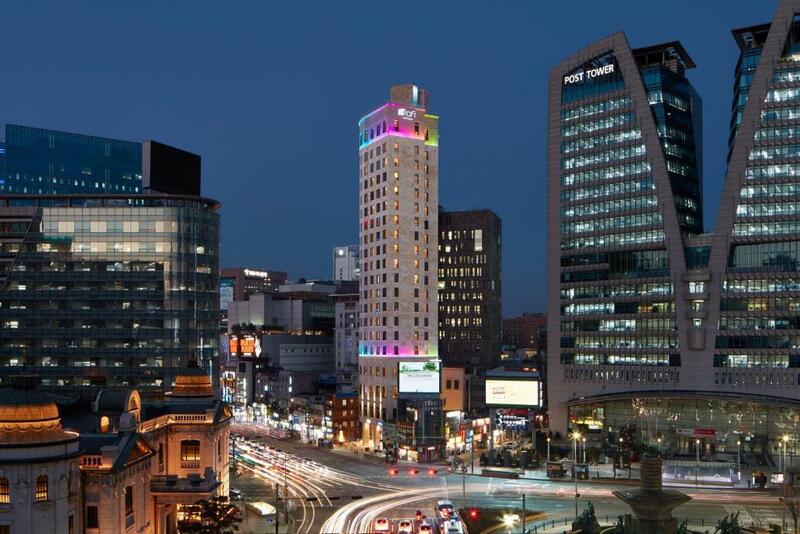 Lock in a great price for Aloft Seoul Myeongdong - rated 9.2 by recent guests. 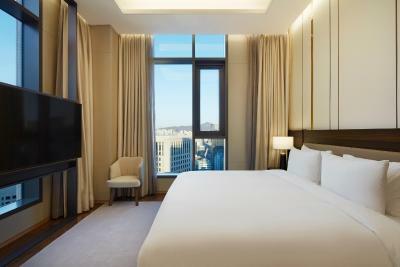 Nice cozy hotel right in the heart of Myeongdong, with many food and shopping options. The service from the concierge exceeded our expectations, helping us locate restaurants we wanted to visit, and pointed us to places to find items we needed. We asked for a taxi to go to the airport at 1pm and the taxi was waiting at 12.30pm. 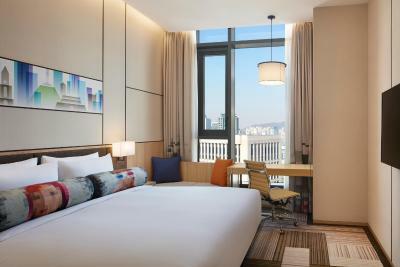 We would certainly recommend Aloft Seoul for any travellers going to Seoul. 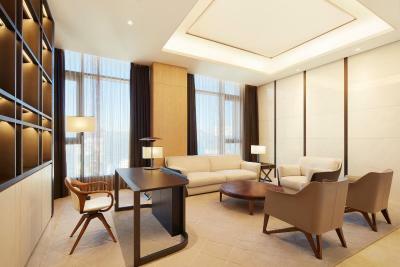 The hotel is in great location with a few minutes walk to Myeongdong. 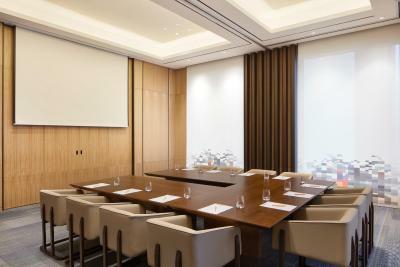 The room was spacious and the staff was attentive and was kind to make reservation for us at the restaurant we would like to have lunch at. Location good for shopping, site seeing and markets. 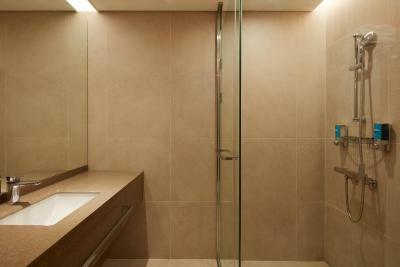 Clean and comfortable rooms with daily bottled water plus a drinking fountain right across our room to refill water. The location was also accessible to a lot of the places we wanted to check out. They also granted my request for a room with a view. All of the staff were helpful and nice(Included front desk staffs and concierge)! We didn’t try the breakfast, but I’m sure will stay here again for my next visit to Seoul! The location is very strategic. 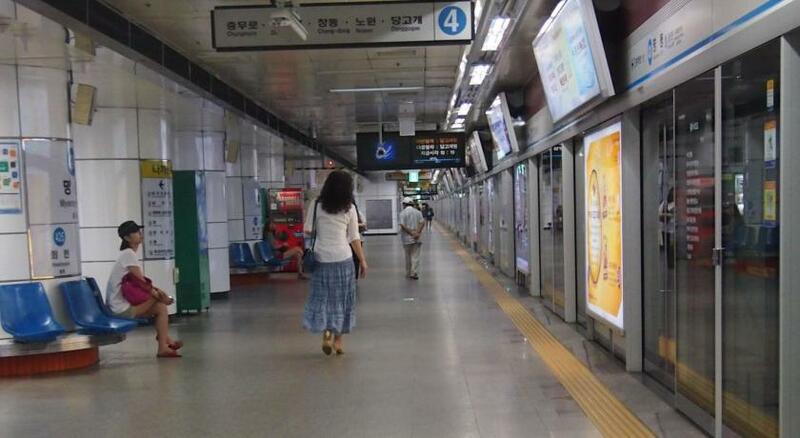 Walking distance to Myeong-dong station & shopping district, shinsegae dept. store. Cost us only KRW 4000 to seoul station by Taxi with all the big luggage that we carried. Close to many restaurants and convenience store. You can grab snacks from Isaac and Oreo churros. Location and staff attitude was great. Convenient hotel - close to everything. Staff very helpful, and breakfast was great! My second time here, and just as good as the first time! I really love this hotel. 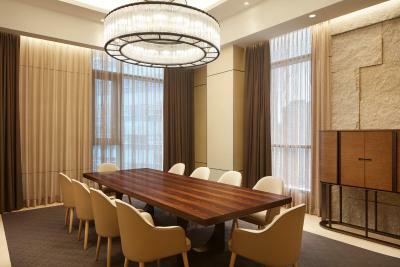 The location is second to none, and close to all the shops and laneways around Myeongdong. The room itself is so well designed - they've thought of everything. Good universal power points, charging ports by the bed, differently lighting modes to choose. Really great and I'll be back! 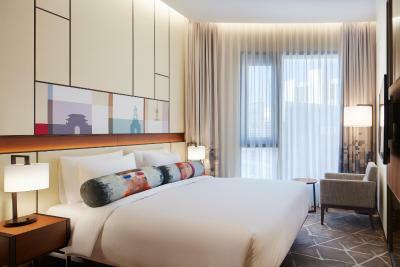 One of our top picks in Seoul.750 yards from Namdaemun Market, Aloft Seoul Myeongdong is situated in Seoul and features a fitness centre and a bar. 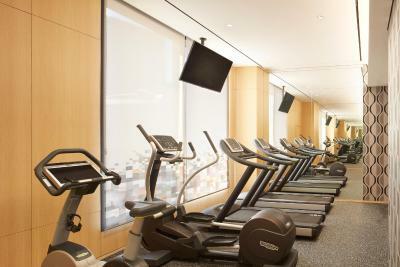 0.7 miles from Myeongdong Cathedral, the property is also 1.2 miles away from Jogyesa Temple. The hotel has a restaurant, and Dongwha Duty Free Shop is 1.4 miles away. Speaking English and Japanese, staff at the 24-hour front desk can help you plan your stay. 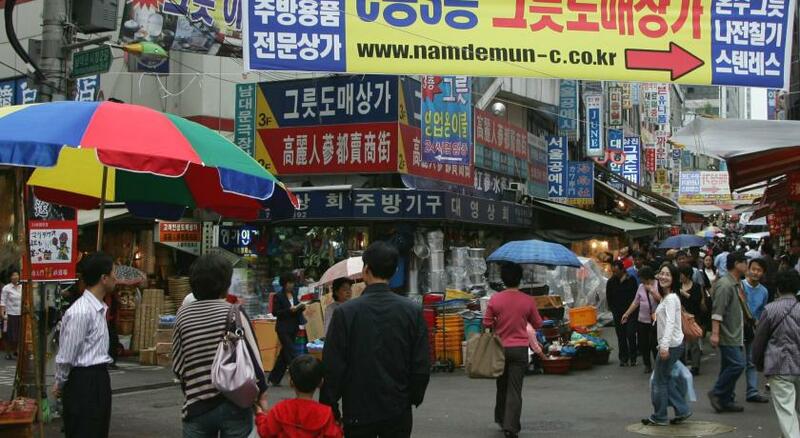 Bangsan Market is 1.7 miles from the hotel, while Jongmyo Shrine is 1.7 miles from the property. Aloft Seoul Myeongdong has been welcoming Booking.com guests since 10 Jan 2017. 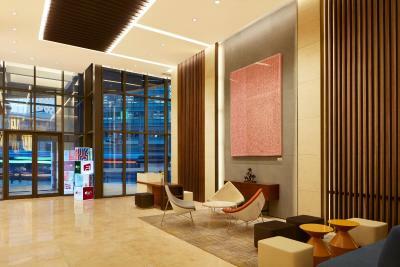 When would you like to stay at Aloft Seoul Myeongdong? 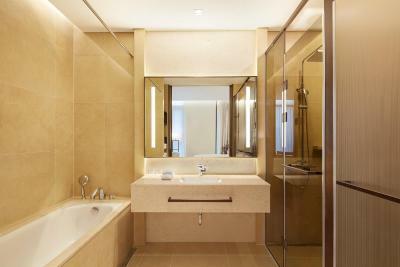 Private parking is possible on site (reservation is not possible) and costs KRW 35000 per day. 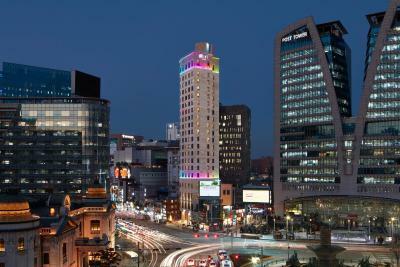 Located at the heart of financial, fashion and business district in Seoul Korea. We offer the collection of HIP & HOT style with our unique limestone exterior that symbolises urban cool to unexpected places. 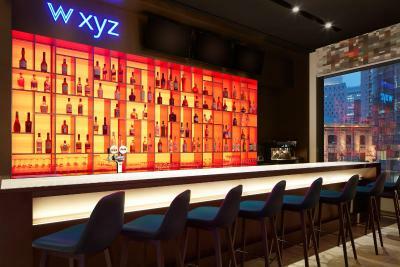 After a day of shopping, sightseeing or meetings, return to mix and mingle at W XYZ bar&lounge. Our zones are always vibrant with fashion, energy, and action - an ideal place to be for trendsetters and global travellers. 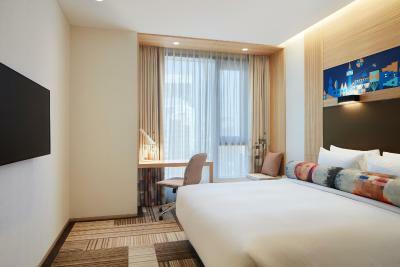 Play at the centre of Korean Wave, Stay at Aloft Seoul Myeongdong. House rules Aloft Seoul Myeongdong takes special requests - add in the next step! Aloft Seoul Myeongdong accepts these cards and reserves the right to temporarily hold an amount prior to arrival. The bath towels are very old. Need to refresh the bath towels as some of the bath towels smelt funny too. The location. Near to 2 train stations. Breakfast line is not variety enough. Staying there for many nights with same breakfast selection is boring. Staffs are friendly and helpful. Room very clean. Perfect location. Love it. The check-in process could be improve as it took a long time for us to check-in to our rooms. The rooms should at least be available at the check-in time at 3PM (if not earlier) since we had a red-eye flights and with little sleep and would prefer that our rooms are available as soon as possible. But overall, we enjoyed our stay here and will definitely return. Lifts very slow during busy times. Not much in terms of late bars in the area. The breakfast was delicious! They were running a promotion so it was good value too. The bus stop right outside is very convenient too. Wish the bar area was a little more geared towards adults and not like a hang out spot for families. I loved that it was so close to good shopping and all the street food. Didn’t have to walk far to find something going on. The room is good. However, its cleanliness still needs to be improved, for example, bed sheets are not 100% clean I think. If the hotel would make some improvements in this area, I am sure it will be a perfect room for guests. 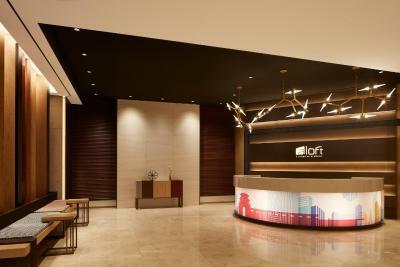 The location of Aloft hotel is so great, and the underground is just around the corner，which is very convenient! In addition, the room space is fine enough and comfortable for two people.